The Ponzi Family has been producing world class wines in the northern Willamette Valley since 1970. For nearly 50 years they have been leading participants in the development of the Oregon wine region and The Dundee Bistro has been creating wine friendly dishes for 20 years in Willamette Valley. 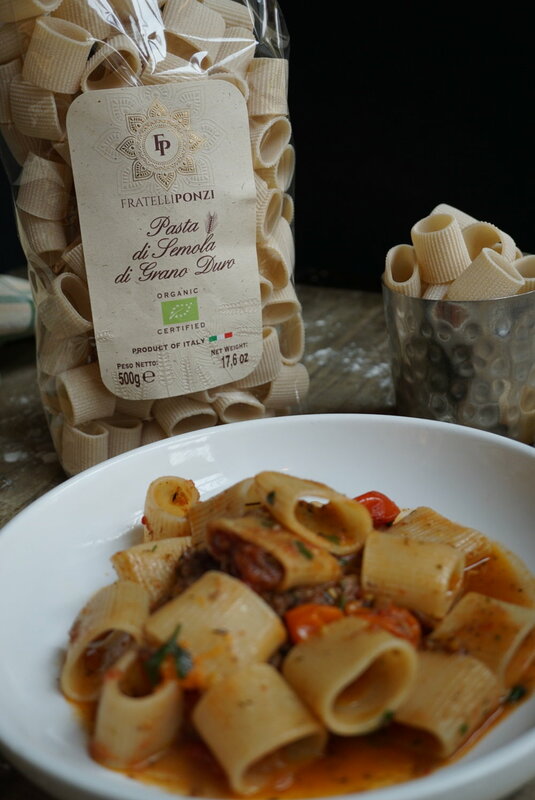 Fratelli Ponzi organic Italian pasta is comprised of heritage wheat that is exclusively made for our restaurant. The Ponzi’s patterned The Dundee Bistro on the many examples of culinary hospitality they have observed in the world’s finest wine regions. They envisioned a restaurant capable of preparing and presenting dishes reflecting the highest culinary sophistication accompanied by wines and wine service of comparable excellence. At the same time, they wanted to create a casual, friendly atmosphere welcoming tourists, families, local residents and winemakers still in their overalls and field boots. The wine program for The Dundee Bistro, under the guidance of wine expert Mark Jacobsmeyer, offers emphasis on local Pinot Noirs, rare vintages and bottlings, as well as an award-winning international selection of the world’s finest producers. While wine is the beverage focus at The Dundee Bistro, a complete bar serves classic cocktails, Northwest microbrews on draught and Italian coffees. One never knows how your fate can change your life in one quick minute. That’s what happened to Ryan Clark, executive chef at The Dundee Bistro. A spontaneous visit to a friend who worked front of the house at the restaurant in 2013 led to an impromptu offer to come cook in the kitchen. Although he didn’t have any formal or professional culinary training, he didn’t think twice to put on an apron. He immediately got to work by making pizza and helping with food prep. Growing up, his family always grew a garden, so identifying flavors and sourcing fresh ingredients were second nature to him as he was introduced to his new career. Ryan advanced his way through the kitchen as a quick study and soon found himself as sous chef, where he continued to expand his management skills and experiment with recipe development. In April of 2018, the torch was passed to Ryan as The Dundee Bistro’s executive chef. With big shoes to fill and expectations to meet with loyal customers spanning two decades, Ryan brings his love for fresh and simple ingredients to each plate. He was taught to cook with the seasons and he believes to not over complicate food, let high quality ingredients speak for themselves. He is a local resident, born and raised in Newberg and calls Dundee his home, where he resides with his wife, Yvette. No story is complete without a little romance. It is here, at The Dundee Bistro, where Ryan met Yvette. She was a server at the time and now holds the position of Restaurant Manager. This duo is undeniably charismatic and infectious with their friendly demeanor, attention to detail, sincere care of employees and customers. Together they share a passion to create a high-quality dining experience in their renown hometown. When Ryan is not working, he’s out traveling, fly fishing, building hot rods … and yes, making pizza in his personal wood fired oven. If you ever ask him to dinner, you can never go wrong with pizza, a forever favorite for him. You cannot miss Yvette Clark, Restaurant Manager at The Dundee Bistro. Her vivacious personality wins over whomever walks through the door and her primary goal is to ensure that each customer has an optimum dining experience. Yvette's long term employment at the restaurant gives her great experience at many levels for the staff as well as guests. We welcome her expansive experience in the hospitality industry, enthusiasm, attention to detail and warm personality. Yvette is dedicated to creating memorable culinary experiences from the tip of your fork to the bottom of your wine glass.